NPF went face-to-face with the “fail-first” insurance policy that comes between you and your meds. Thanks to our volunteer advocates, we won a huge victory in the Lone Star State. 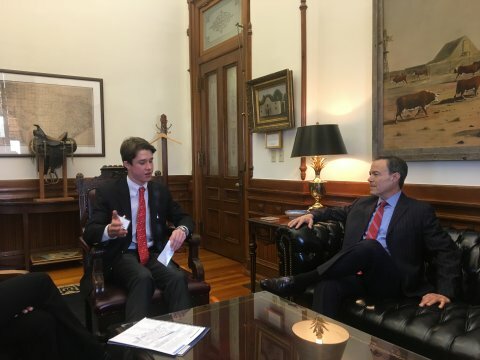 In May, the governor of Texas signed a bill that will bring down barriers for patients to access timely, consistent and evidence-based medical care. With that signature, the National Psoriasis Foundation (NPF) scored a major win for people living with psoriasis, psoriatic arthritis and other chronic health diseases. The passage of the Texas bill adds momentum to NPF’s nationwide efforts to put important limits on insurers’ use of step therapy, or “fail-first,” policies. Step therapy requires patients who are prescribed certain medications by their doctors to try a different, lower-cost drug or sequence of drugs first, and allow them to possibly fail — meaning either the drugs don’t treat the disease adequately or they cause side effects the patient can’t tolerate. So far, 12 states targeted by NPF for step therapy reform have passed legislation curbing the practice. 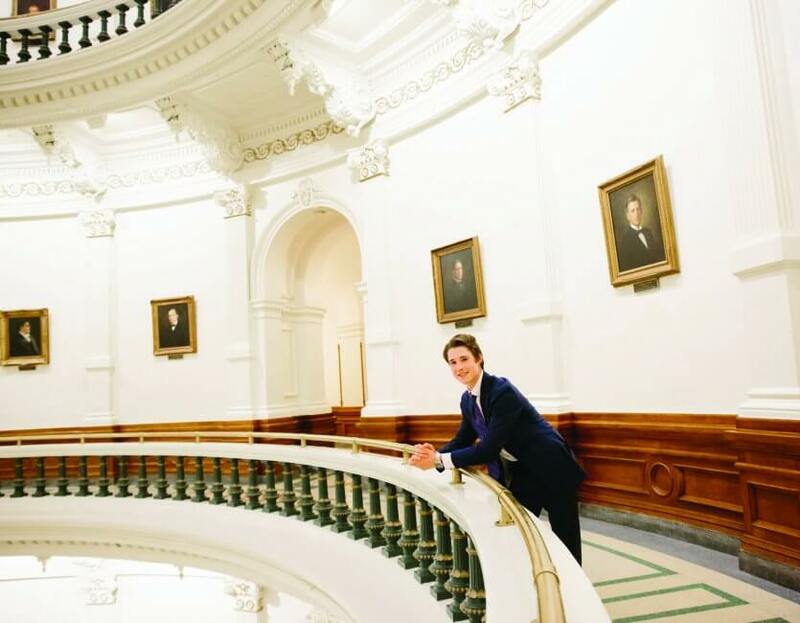 For patients, step therapy often means delayed treatment, and sometimes no treatment, said Colby Evans, M.D., an Austin dermatologist who took part in the Texas advocacy efforts by meeting with legislators and writing letters explaining how step therapy harms patients. Patients typically have to take the drugs required by their insurer’s step therapy policies for about three months before the payer will authorize another drug. In addition, said Evans, in some circumstances, insurers can ask patients to repeat the step therapy they’ve already gone through when their prescription for the drug is renewed. “It can delay treatment, but it also really can deny treatment because the patient may give up because they feel they can’t get the medications they need,” said Evans, who is the immediate past chair of NPF’s Board of Directors. NPF led the effort in Texas, which began only two years ago, to success by harnessing multiple avenues for its message, from letter writing to in-person meetings with legislators to social media advocacy. It also enlisted a host of voices explaining the real-world harms of step therapy, said NPF’s State Government Relations Manager Amy Prentice, who focuses on the Southeast region. Jodi Wood, 16 other patients, NPF staff and health care providers like Evans, met in February 2017 with 25 elected officials at the Texas state capitol for the NPF-hosted Step Therapy Lobby Day. Wood, who was diagnosed with psoriatic arthritis when he was 12, told legislators about his experience with the harmful effects of step therapy. His mother recounted her battle for her son’s health. Wood said he developed lupus-like side effects to TNF inhibitors, but his insurance company asked him to see multiple doctors to confirm this before it would allow him to switch to an appropriate class of drugs. “It was clear I could not take any more, but still I had to go to more doctors and wait months and months,” he said. About a month after testifying during Lobby Day, Wood spoke to a committee considering the bill. He could tell his testimony made a difference. “Most of the legislators probably didn’t know much about the issue, and it opened their eyes as to how difficult and challenging step therapy can be and, particularly, how dangerous it can be for patients when they need medicine and can’t get it,” he said. NPF volunteer advocate Michael Wood. Above: Michael with Texas Speaker of the House Joe Straus.Top: NPF volunteer advocate Michael Wood. Above: Michael with Texas Speaker of the House Joe Straus. Step therapy affects many patients with chronic diseases in addition to those with psoriasis and psoriatic arthritis. NPF, as it is doing nationwide, partnered in Texas with other advocacy groups, notably Multiple Sclerosis Texas. It was NPF’s leadership, however, that brought the bill across the finish line, said Prentice. Wood was eventually able to begin taking the drug his rheumatologist prescribed. While his mom said it seems to be keeping him stable, he’s not in remission. His rheumatologist is considering switching him to another medication, and Wood is hopeful the success of step therapy reform in Texas will make his next medication transition easier. The Texas bill, which becomes state law in January 2018, does three things, said Patrick Stone, NPF vice president of government relations and advocacy. “First, it ensures that the step therapy protocols insurance companies are using are built on the most current clinical evidence available, and that annual decisions about which drugs are included in formularies are based on science, not cost,” he said. Second, the bill ends long waits patients have had to endure while insurance companies considered “exception requests,” which are made by physicians and patients when a doctor prescribes a drug that doesn’t conform to the company’s step therapy policies. Prior to this legislation, insurers had 30 calendar days to consider exception requests after denying coverage for a prescription. With the legislation, companies now must respond within 72 hours of the exemption request and in 24 hours in urgent circumstances. Before the bill’s passage, said Prentice, there were no laws requiring a quick response by the health insurer in urgent situations. “In such cases, a provider would previously have had to spend a lot of staff hours on the phone with or completing forms for the health insurance company to explain the situation. With this legislation, the process will be much more efficient and compel quick responses,” she said. The third component, and the heart of the bill, said Stone, also deals with the exceptions process. “It says an exception request shall be granted — not may, not if you feel like it — if the prescribing physician can show one of five things, all of which center on meeting the medical needs of the patient,” he said. In Texas, these reasons include, but aren’t limited to, the patient already being stable on the drug the physician is prescribing; the patient having a contraindication to the drug or drugs required by step therapy, including a previous adverse reaction to the class of drugs in the step therapy protocol (this requirement would have applied to Michael Wood); or the physician’s judgment that the drug is not in the best interest of the patient. NPF’s efforts to reform step therapy are continuing across the nation. In 2018, it will lead efforts in Washington, Minnesota, Georgia and Maine and will work in a dozen other states targeted for reform. “We’re not stopping until we pass it in all 50 states,” said Stone, who noted that much progress has been made very quickly relative to the usual, far slower trajectory of many legislative efforts. In part, he said, this is because step therapy reform is a bipartisan issue. Wood encourages others with psoriatic disease to get involved. “You might not think one person can do anything, but I saw how even I was able to open [legislators’] eyes to this issue. It really can make a huge difference,” he said. Step therapy is a complicated subject, and our efforts to stop it take different forms in different states. You can keep up with our progress — and learn how you can help the psoriatic disease community — by following along on the new-and-improved steptherapy.com. Steptherapy.com gives you information on how NPF is actively working to ensure patients have access to the treatments prescribed. The site also provides a rundown on the news and a scoreboard of our progress. NPF’s Government Relations and Advocacy team will blog about their activities, and you can watch webinars about our work in states from Maine to Iowa and places in between. If you agree that you and your doctor — not your insurance company — should decide what medications you get, we hope you’ll get involved. And if you’re experiencing these problems with your health insurer, contact our Patient Navigation Center for personalized support.